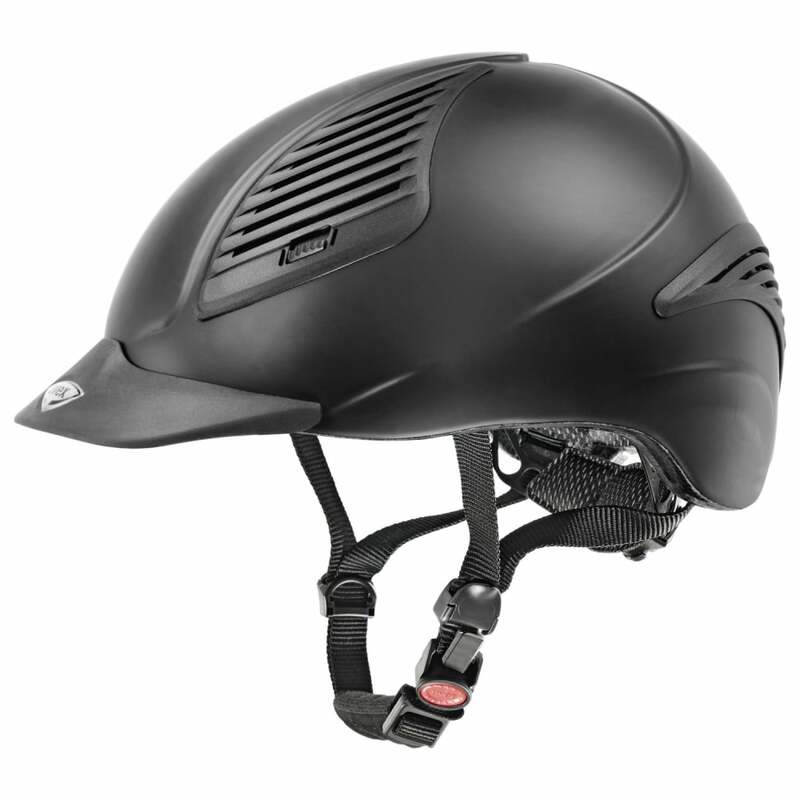 The Uvex Exxential Riding Hat is perfect for schooling at home, riding holidays in exotic locations and for anyone wanting Uvex comfort and technology at an affordable price. Exxential riding hats are made using inmould technology where protective EPS material is foamed into a polycarbonate shell to create a lightweight helmet with high impact resistance. The fit of the Uvex Exxential hat is determined by the 3D IAS adjustment system that allows the width and depth of the hat to be changed to suit individual head shapes. The FAS webbing harness can also be adjusted to keep the hat securely on the head in the most comfortable position at all times. The Uvex Exxential Riding Hat is finished off with Uvex branding on the peak.